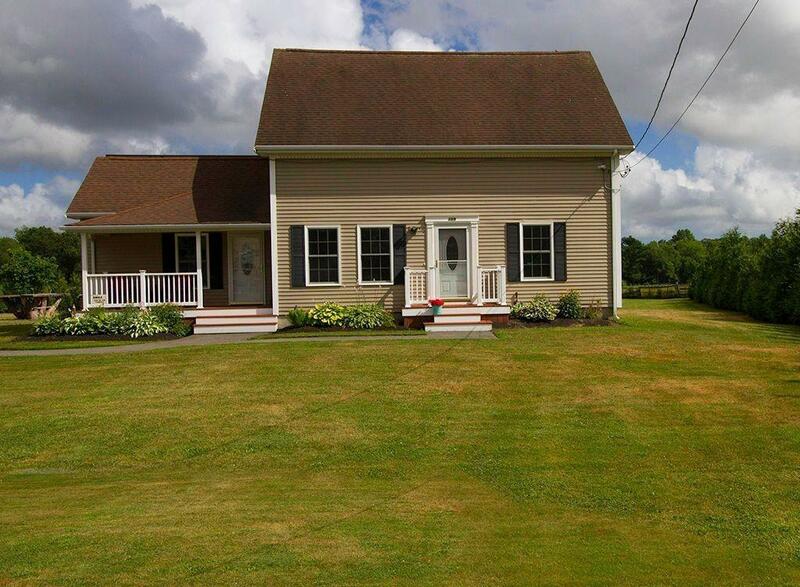 Beautiful completely renovated farmhouse in 2010 with all the modern amenities. Renovations consisted of new roof, pella windows, trex decking, azek trim and detailed dental molding. This home has gleaming hardwood floors, 2 ceramic tiled baths with new plumbing and 200 amp electrical panel already setup for a backup generator. Extremely nice solid wood cherry cabinets with gorgeous granite countertops that compliments the cabinetry and recessed lighting. The master bedroom is huge measuring 25' x 14' with plush wall to wall carpeting and a 10' x 10' Juliette balcony with views of water and perfect to enjoy your morning cup of coffee. There is also an enormous 30' x 40' garage with 14' high interior clearance completely climate controlled with heat & ac and separate 200 amp electric panel ideal for the car enthusiast. Also ideal for the family that always wanted to have their own farm animals to fully experience country living. SELLERS MOTIVATED LOOKING FOR REASONABLE OFFERS !!!!! Selling Office: Silva Realty Group, Inc.